On location in Romania and Transylvania outside Bucharest, Universal Studios shot “Werewolf: The Beast Among Us”. As paranormal fantasy playing off the trendy vampire/werewolf motifs that have their roots in Eastern Europe, this might have seemed like a natural move. And yet, the economic motivations and cultural implications of the movie make a statement that shouldn’t be overlooked. At the beginning of the film, everybody is scared. The Gypsies hover on the outside of town, paranoid of strangers, careful with their secrets. The townsfolk are a superstitious mob, prone to violence and racial prejudice (they are quick to pounce on the Gypsies as the source of the killings). They offer a reward to anybody who can kill the beast, and almost give it away to someone who brings in a wolf with antlers stuck on its head. And then, just when all hope is lost, the hunters show up. Unlike the other characters, who mostly have thick accents, the hunters speak proper American (although the evil character speaks British English). The hero has a traditional country cowboy drawl. It’s Hildalgo-esque: American cowboys traveling the world winning prizes for being awesome. As things unfold we learn that the only decent towny – the courageous kid who helps out the town doctor – is actually the werewolf. The doctor is corrupting his ability, teaching him to kill discriminately – with the eventual plan to go into the city and pick off those bastards who criticized his research. The child’s mother is a whore. This is a colonial story of Western Capitalism with comical obviousness: Universal Studios is making an American movie about some American Heroes who save the uneducated, impoverished, backwater plebians of Romania from a Monster of Their Own Making. The evil, the sin, is something that rises up only in the midst of those who believe in it. Bucharest, Romania — Along the route to MediaPro Studios, packs of feral dogs wander unpaved streets, children as young as 7 beg for handouts, and some government buildings still bear the bullet scars of the 1989 revolution. But for a growing cadre of Hollywood producers, the drive is becoming as familiar as a trip to the Universal Studios back lot. Poverty is visible almost everywhere in Romania, where the average gross monthly salary is $339 and horse-drawn carts are affordable transportation. Although economists see a struggling nation, movie producers see an opportunity… For the big studios, making movies overseas is no different than Nike stitching shoes in Vietnam. Another big movie shot in Romania to save money was “Cold Mountain” (2003), but the story and plot is set entirely in America. 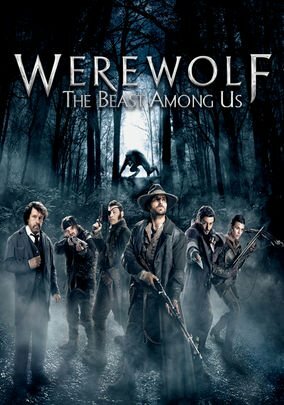 “Werewolf: The Beast Among Us” is a movie shot in Romania that’s actually supposed to be Romania – but a Romania that exists only in the fantasy of Western minds – with supernatural beings, misty forests and peasants with pitchforks. It’s a projection of Western myths and prejudices about Romania that American film makers are paying low wages for Romanian people to produce, and macroscopically depicting its own story through the plot (Universal Studios coming in with big money and hiring locals is like the Hunters saving the Romanians from themselves). The real story: wooing the towns’ Rich Girl. But here’s the twist: It’s not really a story about Monster Hunters vs. Werewolves. All the human monster killers get killed. The final scene is a fight between a vampire and a werewolf… and they are fighting over a girl; the town’s rich girl (who is also educated and modernized by escaping the small town mentality). Both are supernaturally powerful with special abilities. You could say, if you wanted to be erudite, that it’s a commentary about the struggle cultural minorities have to woo the benefits of governmental architecture and support. “You can control this, you can!” she tells her furry lover. Like Beauty and the Beast, symbolizing the feminine ability to soothe the raging beast in man. And finally comes, of course, the Western Cowboy hero again! Back from the dead. And a long, long moment as he hesitates on whether to kill Daniel or not. Life and death, the decision to allow the Werewolf to exist, is in his hands. Does this represent the American Military, passing on the torch of Western Indoctrination to a new fresh youth? Just like the Doctor, training it to kill who it wants? After teaching it to hate and kill its own kind (exactly the way colonial powers worked), he rides off into the dawn. Matt Barr and Kevin Costner’s “Hatfields & McCoys” (2012), a History Channel Mini-Series, is also shooting in Romania. But then it gets REALLY strange – apparently the Indian Movie Industry is so big, it can also afford to outsource. Shooting entirely in the historic Bran Castle in Romania (where Vlad the Impaler lived, who is said to have been the inspiration for Bram Stoker’s Dracula), the classical and internationally famous story of Dracula is being given an Indian Face-Lift (literally). Dracula 2012 is a 2012 Malayalam 3-D feature film directed by Vinayan, starring Prabhu, Sudheer, Thilakan, Monal Gajjar, Nassar etc. So now India, which was one of England’s major colonies and about which some of the most cutting literary research on post-colonial research has been written; India to whom America has been outsourcing its tech and service industry – is now “vampirizing” Romania’s own culture and folklore and even shooting its historical monuments, to make a film perpetuating stereotypes about Romania (Dracula was a fiction when it was written – but Stoker’s image of Transylvania remains unchanged and mostly unchallenged since written in 1897).